We’ve reached the finish line in the 2015 Freelance Success/WordCount Blogathon. If you’re a follower, now you can have back your mailbox! Like marathons, blogathons call for intensity and commitment. This blogathon didn’t have lots of rules. The topics were open, even on a handful of designated theme days, like Throwback Thursdays. 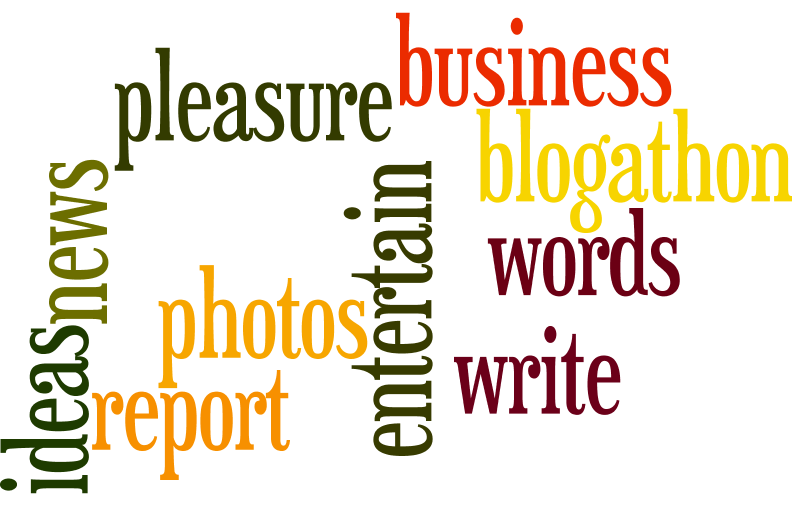 Some blogathoners never intended to blog every day in June, only to make blogging a habit. A few dropped out. Many, like me, posted every day. Become good friends with your camera. Try out a subject’s sustainability. Exercise your skill at writing short, which is often harder than writing long. And that’s just the start. Some blogathons, like this one, last a month; others are shorter. You could create your own personal blogathon by designating a time frame in which you’d post every day (or write every day and save some to post later). You just might find that blogathoning helps you rekindle the passion for writing that you never really lost. 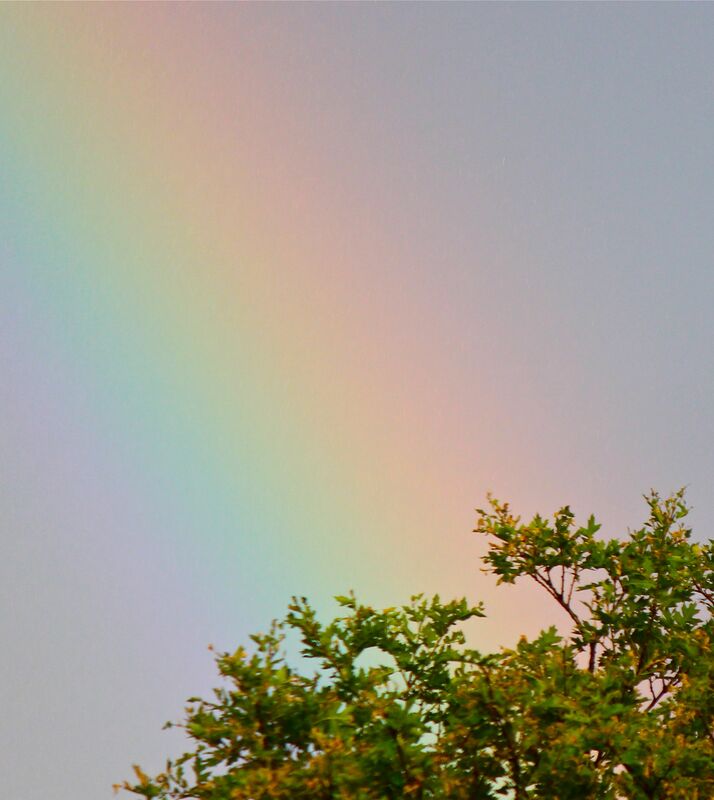 A pot of gold in an oak? was OK, and if I wanted to take a look at it, a couple of brave souls making sure all the pets and people were safe got out their GoPros and made the storm and the fire a YouTube hit. Just the same, what we’d do for a little rain! So it was magical yesterday to watch monsoon clouds build, then spill gently and straight down. The rain wasn’t a lot, just enough for birds to make birdbaths out of dents in the asphalt where the Botts’ dots go on the main road. I perched on the front steps, catching a few drops on my shoulders out of range of a pine tree, watching tree pollen swirl away in yellow rivulets and waiting for lightning that never came. The rain felt wonderful, though it was only enough to wet everything. What felt better was knowing that it could rain after all of our drought. The faucet isn’t stuck shut. Nature hasn’t forgotten. So many parts of the country have gotten too much rain. Here we have dust. Spring arrived in January. Tree fruit came two months early. Raspberries are ready now instead of August. The voles and gophers, which made several passes underground last summer, quit this year after one. 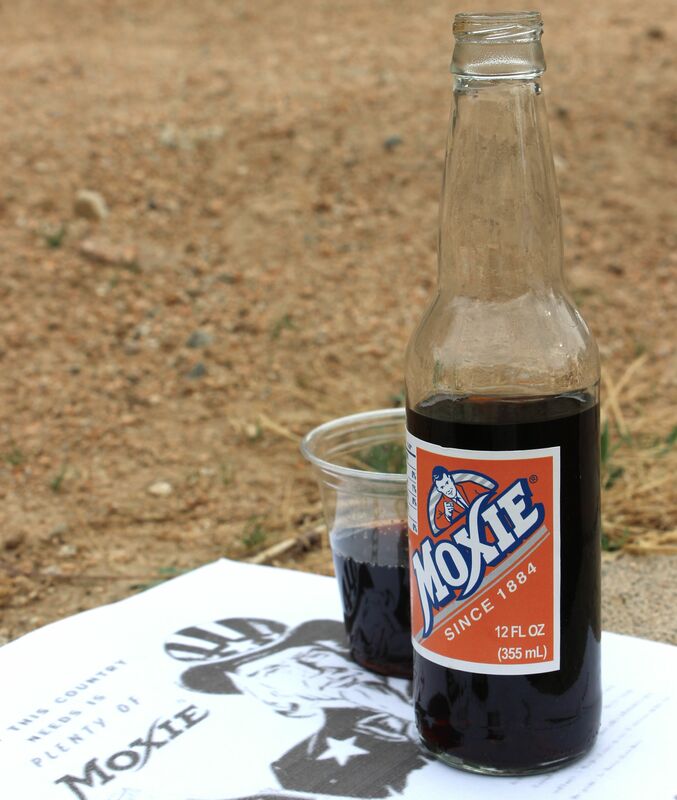 You’re most likely to get your mitts on a bottle of Moxie in New England, though its fans sneak it around the country. That’s how loyal they are to this 131-year-old descendant of Moxie Nerve Food, a patent medicine of the 1870s. Dr. Augustin Thompson, a native of Maine working in Lowell, Mass., mixed his elixir with soda water, as drugstores of the time did with other formulas. Out came Moxie soda, containing the extract of an unnamed South American plant that was the active ingredient in the medicine. That plant was gentian, and the extract came from its root. Bartenders know it as the bitter ingredient in Angostura bitters. Although modern medicine sees no health benefit in gentian root, it has been used to ease a variety of digestive complaints. Los Angeles man who collected bottle caps as a kid. 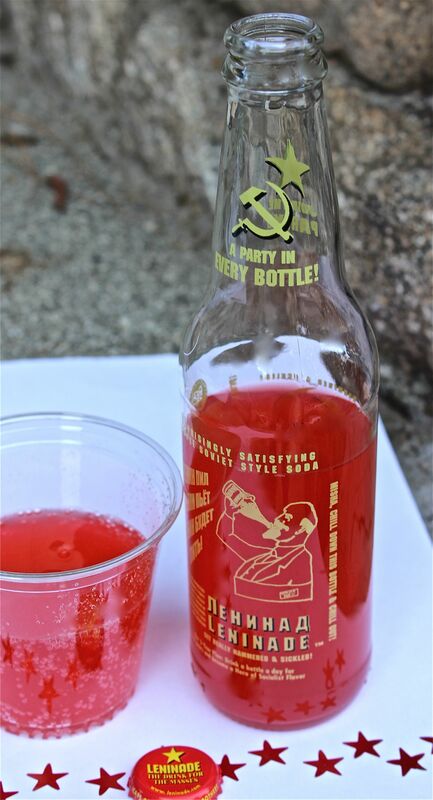 We’re about to tell whether Leninade is lemonade in a Soviet uniform. What’s in it: Carbonated water, cane sugar, citric acid, gum acacia (keeps sugar from settling out), natural and artificial flavor, glyceryl abietate (keeps oils suspended in water), sodium benzoate (preservative), artificial color.